Hello! Today I had a very small bit of nail mail come in a day early, so I decided to do a short post swatching it. This is the only polish I ordered, Polished For Days Aspen, from their new fall collection. It's a gorgeous, gorgeous blue base with red to gold to green multichrome pigment and a smattering of holo to top it off. Purchased with my own money. This is two coats and top coat. So, the first thing I thought when I unwrapped my bottle was, "Oh wow, this is kind of like a bluer Mortal Coil!" Now, it is definitely different—in addition to being bluer, the holo in it is also denser, and the multichrome is also slightly different. However, I do think they belong in a family together, as the finishes are different (and not very common, IMO). 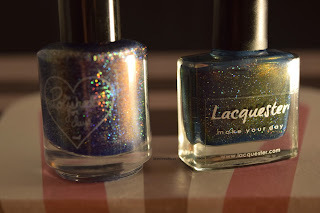 Since it was the first thought I had, I pulled out my bottle of Lacquester Mortal Coil to compare to the Polished for Days. Let's start with some bottle shots. Like I said, the base of Aspen is blue, whereas the base of Mortal Coil is teal. 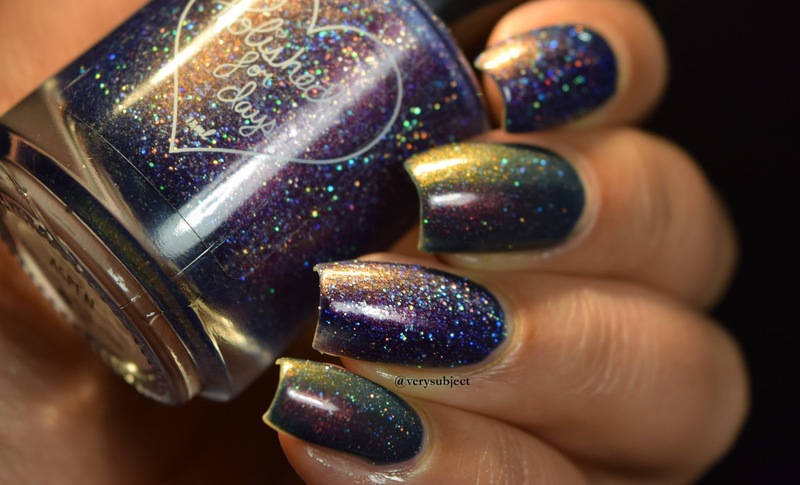 The shimmer in Mortal Coil is warmer than the shimmer in Aspen and the shift comes out a little bit differently; and, finally, Aspen has more holo, with larger holo particles. I also have some comparison swatches on my nails. I actually switched up my fingers when I was taking these pictures, whoops. In the first one, Aspen is index and ring, and Mortal Coil is middle and pinky. In the second, it's the other way around: Aspen on middle and pinky, and Mortal Coil on the rest. Okay, that's it, I'm done, bye! 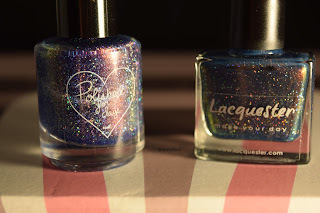 Those are both beautiful, I have Mortal Coil and have been eyeing that PfD, Thank you for the comparison! 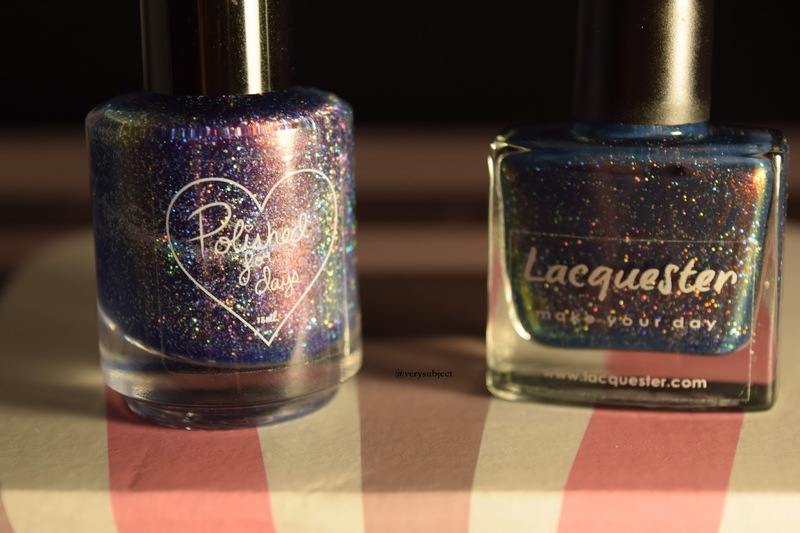 oh my gosh, Polished for Days Fall collection is awesome, was looking at them yesterday thanks to someones IG. I didn't want to add a new brand but I may have to get the collection after all. 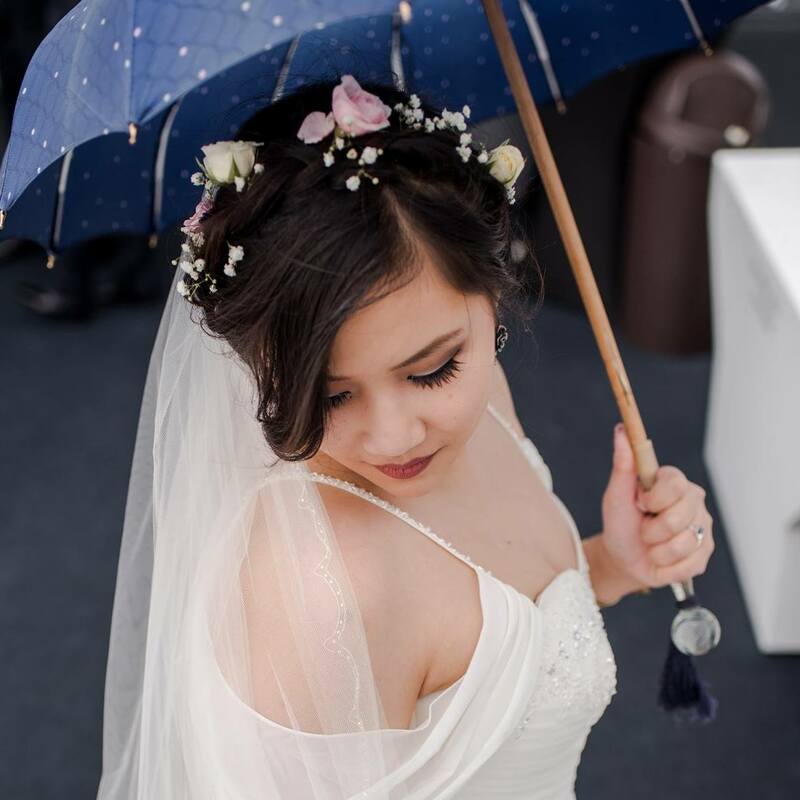 :) Great to see that you have a blog! I feel the same way about adding new brands. There's just so much polish on the market, you have to narrow it down somehow. I've been really happy with all of my Polished For Days, though!